Although true to Nicole’s signature style and use of mediums, her original artwork ‘Glass Slipper’ is almost simplistic in its composition when compared to her other art works. While it still contains layered acrylic, oil and ink mediums, “Glass Slipper’ has an overall happy and calming presence. 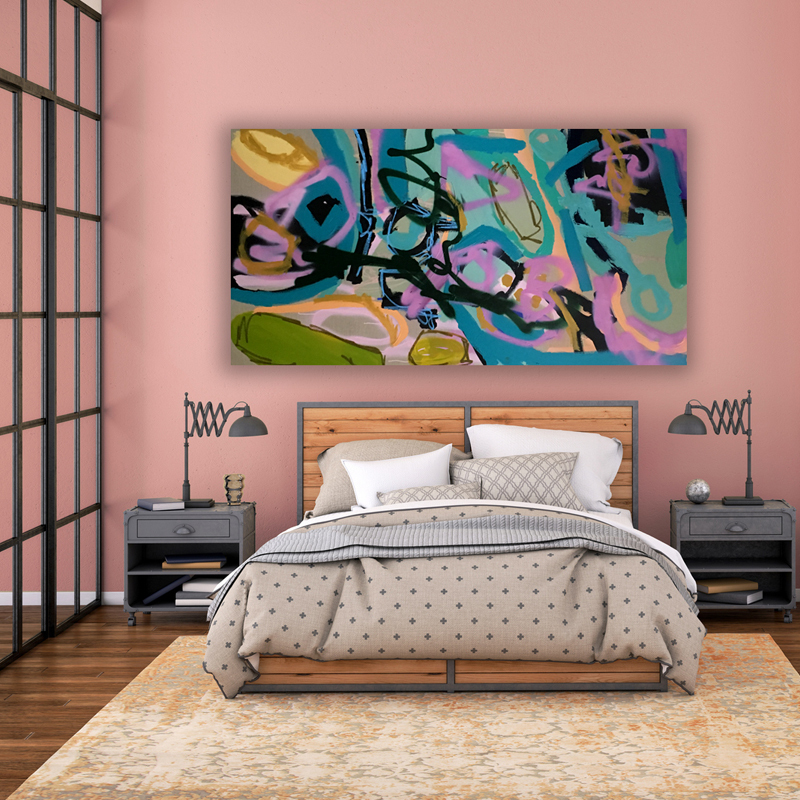 ‘Glass Slipper’ is a large scale 91 x 183cm Belgium linen stretched painting that dominates whatever space it’s hung in. Playful blues are swirled and swept back and forth in the background to anchor shades of green from teal to sage to evergreen. The tone lends itself to a childlike wonder and imagination. With her bold strokes and fun yet powerful colour pallet, Nicole’s work is loved by children and adults alike. Wild abstract forms and lines leave the door open for unique story portrayals. Her compositions lure observers into her imaginative world, enticing them to dream up new stories as they visually dive further into her paintings. She aims to encourage each viewer to find their own interpretations of what they see and explore how they feel. ‘Glass Slipper’ would add playful sophistication to a child’s bedroom or personal office space with feminine décor. Original art is just as important in a kid’s room as in any other room of your home. 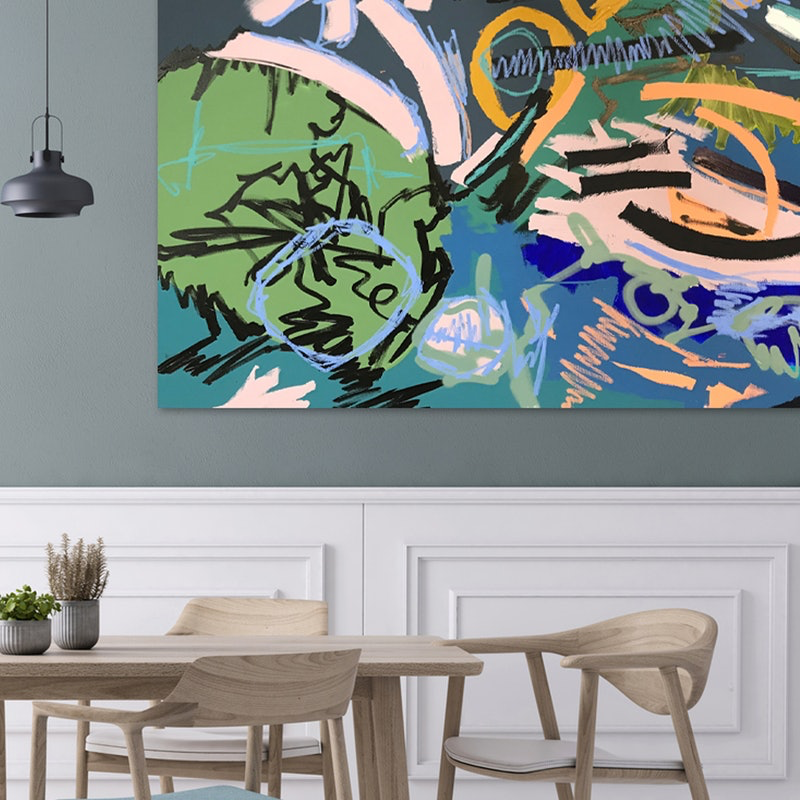 Having artwork in your home inspires creative and innovative thinking. 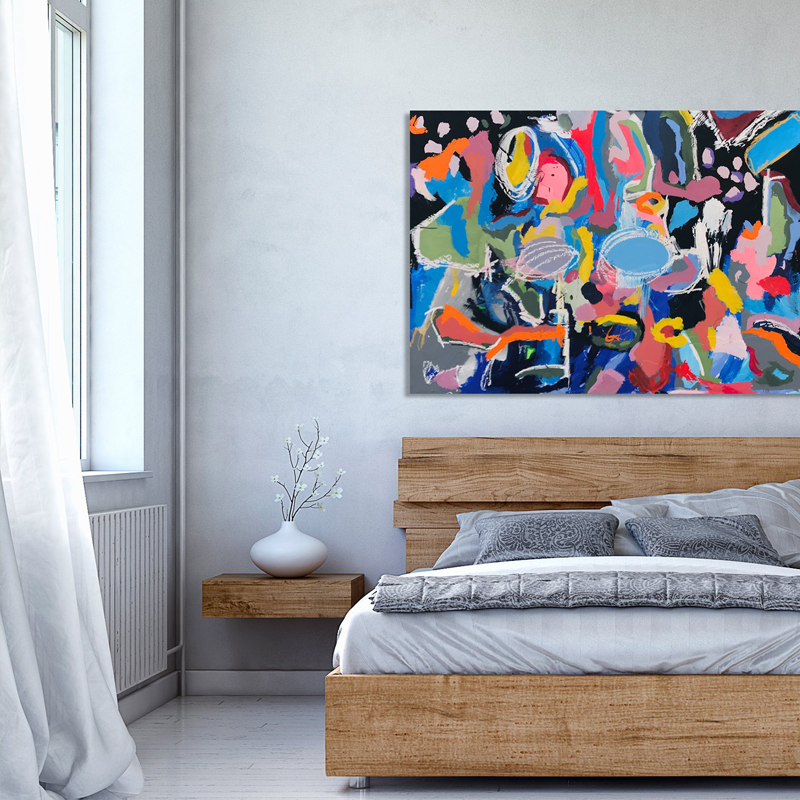 An original piece of art is also a keepsake that children can enjoy for years and hang proudly in their own homes someday. There is nothing more special than sharing memories and a love of art for generation after generation. Art is about investing in yourself and sharing your story. 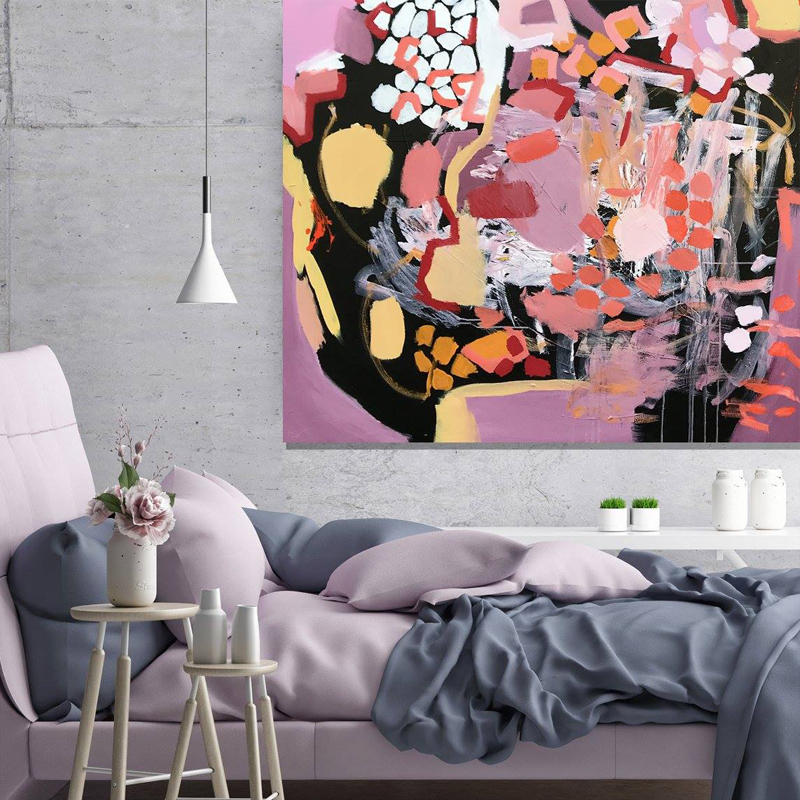 You should love the artwork you express yourself and your space with every time you step into the room. It’s not only about being proud to display a great piece, but art can represent sides of ourselves we can’t articulate with words.